Today was the flags on the 48 event all throughout the White mountains. I had wanted to organize one of the mountains with Abby, but our vehicle had to go into the shop so I passed off the opportunity. My boss Josh was interested in going for a hike though so I suggested we hit up the Wild Cats. Wild Cat D was the mountain I was trying to put a flag on so at least I would be able to see it first hand. So that morning Josh picked me up and we drove up to the mountains with coffee’s in hand. Dogs had to stay behind with Abby for this hike, we’ll see them again soon. At around 8 the parking lot at Glen Ellis Falls was already filling up. We got there at a good time for sure. The water crossing at the beginning of this hike is passable right now with an easy rock hope across. The forecast called for rain in the afternoon so we wanted to be done quickly. 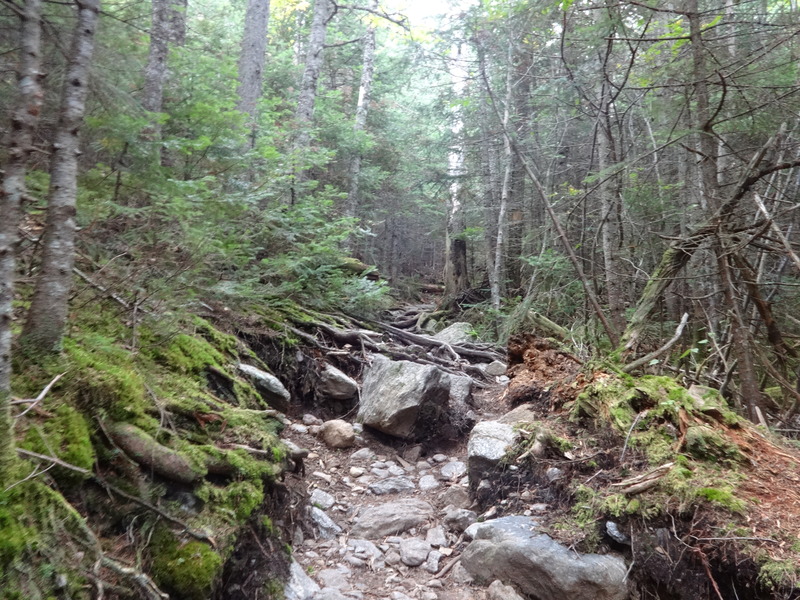 Wildcat Ridge trail is steep and rocky so when it gets wet it can very slippery. Right away this trail has a steep grade and a moderately difficult climb. It gets you sweating for sure. 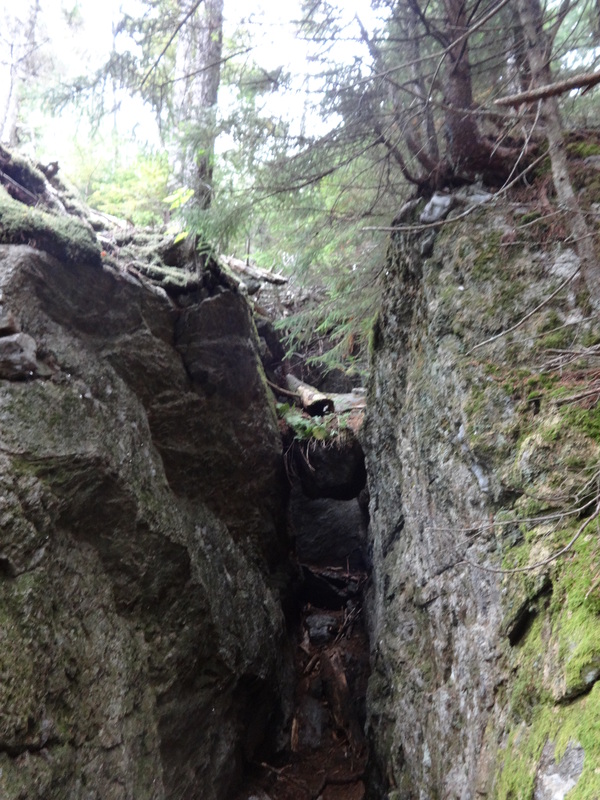 There are many cool looking displaced rock formations all along this trail. Josh and I made great time up the steep rocks and we got to the platform on Wildcat D. It took us about an hour and a half. It was 11 and there was no sign of the flag coordinator for the peak. We decided to hike to the other Wildcat peak and come back to see the flag on the summit. We had a quick snack and started hiking towards Wildcat A. 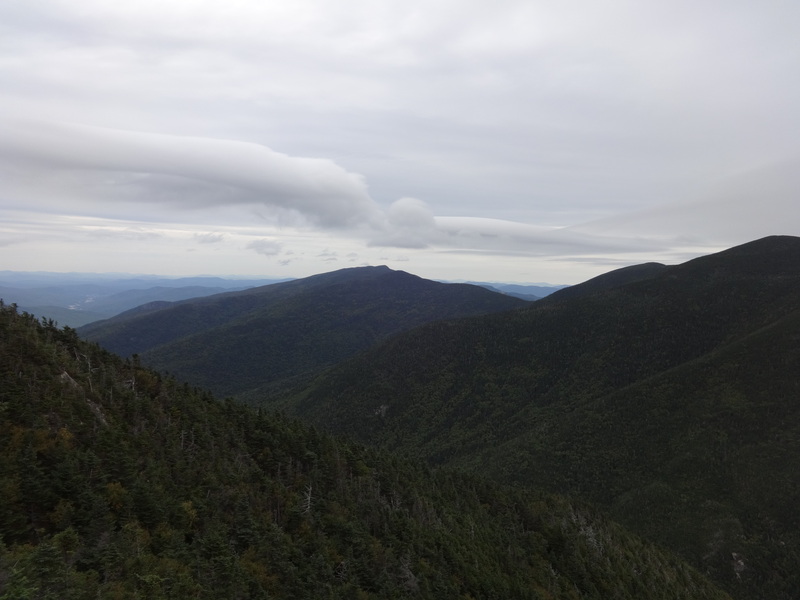 It is a 2 mile hike over the ridge that separates the two mountains. 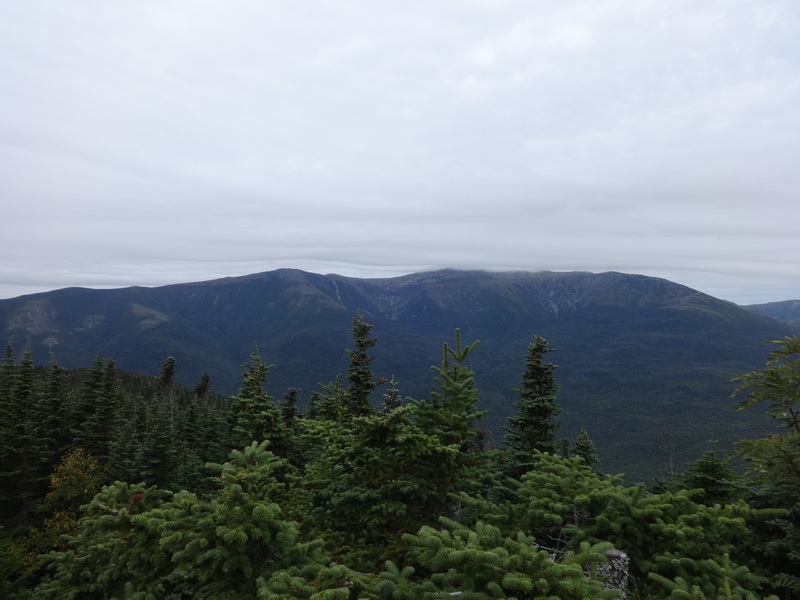 The best view of mount washington of the day. We had a great hike over the slopes in between the peaks. It is a bit of an up and down, but the hike took us about an hour. Here we got the best views on the day of the Carter Moriah range and the AMC hut down below. Though it was quite cloudy it had not rained yet and we were now at the half point in the hike. Here we share a celebratory beer and took in some exceptional sights. 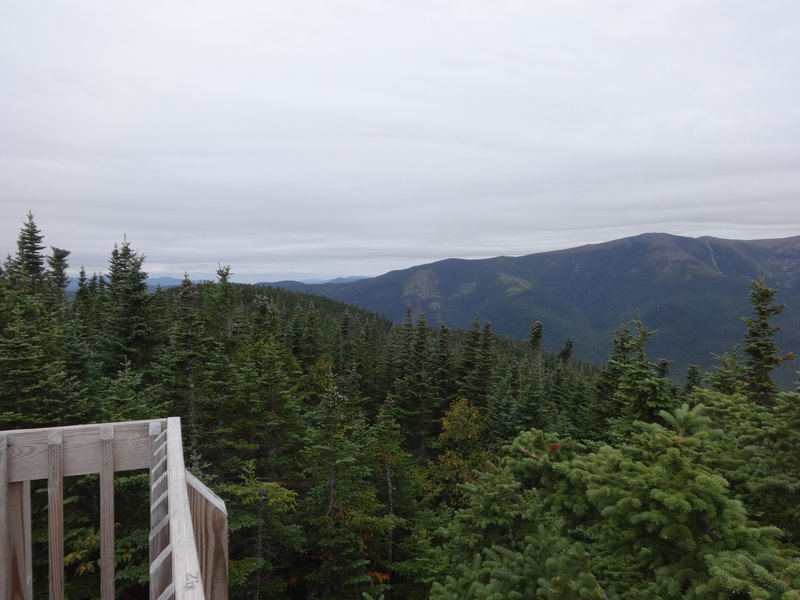 The lookout point is right next to a side trail that leads to the top of wildcat A. 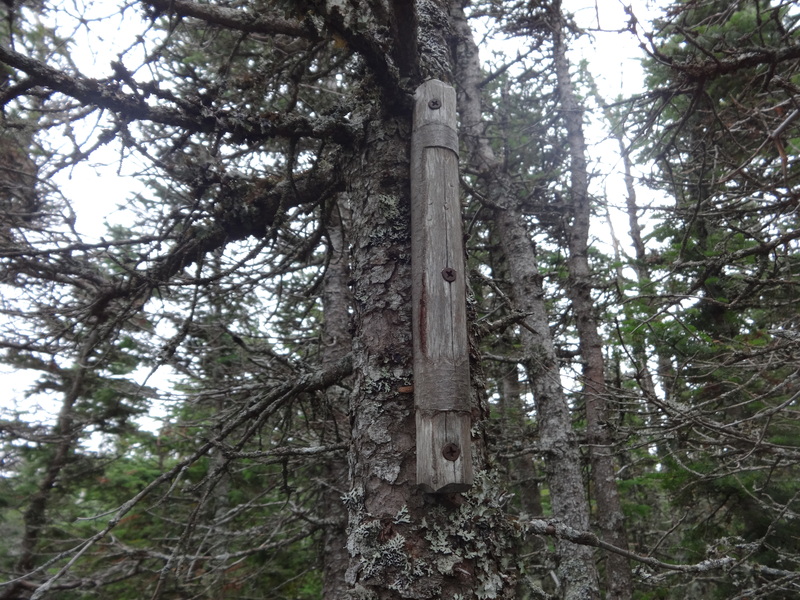 Keep an eye out for the summit marker that looks like this. After a short time we started to get cold so we made our way back to Wildcat D. Another hour or so we arrived just as the coordinator was arriving with his flag. After a short set up time we had the flag up to honor the victims of the September 11th 2001 tragedy. We had a bit of a rest while we ate some trail food and watched the clouds roll in. Taking that as our cue we wished the small group that had congregated farewell and made our way slowly down the steep stretch back to the car. To honor those lost in tragic events. The way back down the Wildcat ridge trail is a slow process but we still made good time back to the car. The total hike with breaks took us about 6.5 hours with our breaks and the flags event. 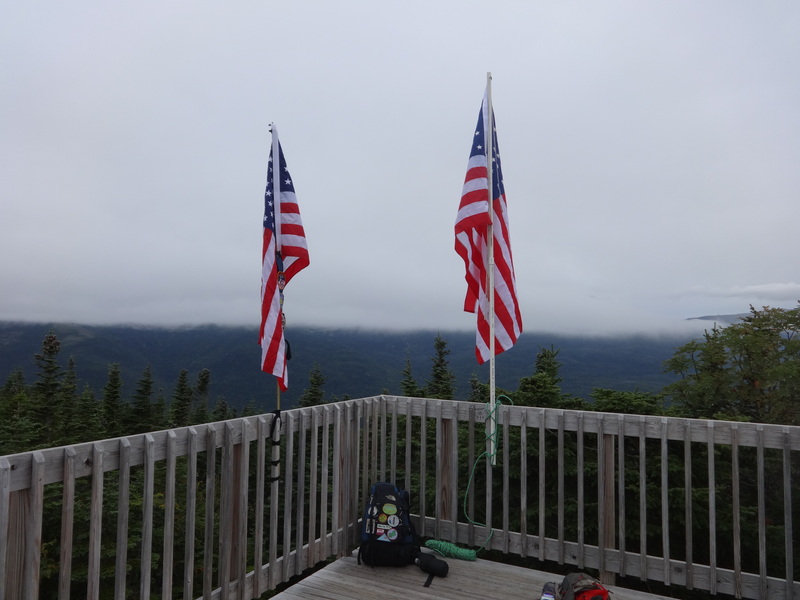 Though the clouds were heavy all day the cool temps and the flags event made this a great day for a hike. We had a blast and it was great to see others out there excited to see the events on the summits. For more on the flags on the 48 check HERE. Check out all the pictures of the day HERE.